Argentina’s laudable attempts to raise issues vital to Latin America and the wider developing world are likely to fall on deaf ears. But, if the G20 is going to stop drifting from summit to summit and get to grips with genuinely global challenges, it needs to establish a modest but permanent secretariat and appoint an influential secretary-general, writes Tony Payne (SPERI) in this special post published jointly with speri.comment. With just a week to go before the latest summit of the G20, which combines 19 of the world’s largest economies and the European Union into the world’s “premier forum of international economic co-operation”, it’s hard not to think that the global economy needs some serious care and attention. The meeting in Buenos Aires on 30 November and 1 December will be just the thirteenth in its short history. With Argentina currently holding the organisation’s rotating presidency, the chairmanship falls to President Mauricio Macri. The timing is also portentous, coming just ten years after former US President George W. Bush first called the G20 into being in November 2008 at the height of the global financial crisis. And it’s been quite a decade! The G20 was a key player in the global governance of the global crisis, and many analysts (although not all: see Eric Helleiner’s excellent book on what he calls “the status quo crisis“) credit the organisation with at least seeing off the threat of a global recession worse than the Great Depression of the 1930s. That question now falls to the historians to consider, with Adam Tooze first out of the blocks with Crashed, his lengthy and utterly riveting account of How a Decade of Financial Crises Changed the World. Oddly perhaps, one thing that hasn’t changed during the course of this turbulent decade is the way that the G20 itself works. As I argued in a past SPERI Paper, the G20 has often seemed trapped by its “occasionality”, which is to say its fundamental and debilitating lack of permanence and institutional structure. Of course, it was hastily put together in the middle of a devastating crisis and was modelled, naturally enough, on the informality and commonality of outlook between the member-states of its predecessor, the G7/8. As such, it has no secretariat or permanent staff, leaving the annual summit’s host government with free rein to propose its own particular agenda, which opens up many opportunities to ride national hobby-horses somewhat clumsily into the global arena. This also means that, just a week before the Buenos Aires summit opens, the best guide to the agenda continues to be the document published by the Argentine government on 1 December 2017, right at the very beginning of its presidency of the G20. The paper was called Building Consensus for Fair and Sustainable Development. 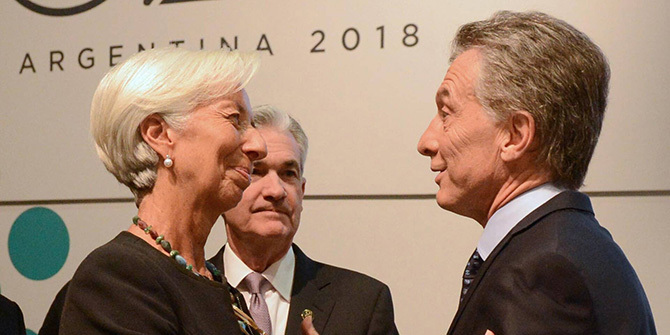 In a brief introduction Macri declared boldly that Argentina would place “development, fairness, and sustainability” at the forefront of the G20 agenda, noting that although globalisation has been “a cornerstone of growth and development … its benefits have not been shared equally”. This was the moment, he suggested, to renew commitment to “the broader goal of leaving no one behind”. a sustainable food future, which will require “improving soils and increasing productivity”. It’s worth adding that in all of its pre-summit documentation Argentina has deliberately presented itself as “a multicultural developing country” that is not merely located in South America but also determined to channel into the G20 the perspective of the whole region of “Latin America and the Caribbean”. The other attendees that the President has chosen to invite include the leader of Chile and, for the first time at a G20 summit, the current chair of the Caribbean Community (CARICOM), the Prime Minister of Jamaica Andrew Holness. Other bodies with a regional focus that have been invited to the gathering include the Inter-American Development Bank and the CAF-Development Bank of Latin America. In other words, Argentina is insisting that it is a “Latin American and Caribbean” country from the “developing world” which is hosting the G20 this year. Or, to put it another way, it matters that Argentina is neither a member of the G7 nor the BRICS. So far, so good, you might think: about time the case for fair and sustainable development was placed before the leaders of the world’s largest economies. And, of course, I agree. But who really supposes that Macri, even though his own rise to power shows he is not without political skill, is going to be able to push Trump, Xi, Merkel, Macron, and other leaders into a serious debate about how to generate economic growth across the world in ways that are newly fair and sustainable? How will brief discussions of work, infrastructure, and food take this forward meaningfully? Moreover, where and how in all of this do the real, urgent political issues that might helpfully reshape the global political economy get raised and progressed? I refer to the avoidance of damaging trade wars, reform of the International Monetary Fund’s (IMF) power structure, the pursuit of global tax justice, and the management of the climate’s severe deterioration, amongst others. Setting aside the fact that Trump will likely renege via Twitter the moment Air Force One leaves the tarmac, there will unquestionably emerge an agreed communiqué – indeed, one will already be circulating in draft amongst the summit’s Sherpas – and probably even a “Buenos Aires Declaration on Fair and Sustainable Development”. But will either mean anything once the caravan has moved on? Can you for a moment envisage the G20’s latest declaration being deployed subsequently as a guiding policy document in the US or China or the EU, or even within the boards of the IMF and the World Bank? 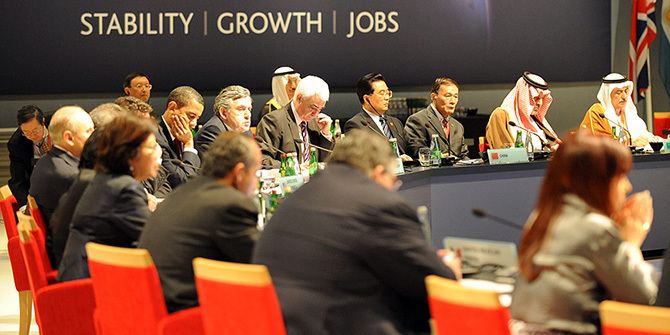 The real case for G20 summits has become a different one. It relates to the G20 system’s quiet, ongoing work, month in month out, on many of the real and vital issues mentioned earlier. The Argentine G20 website lists 12 “work streams” wherein ministers and officials from member-states meet regularly, indeed routinely, amongst themselves and with staff of key international organisations to try to fashion a global consensus in vital policy areas. The full list is worth setting out: finance, agriculture, anti-corruption, business and women, climate sustainability, development, digital economy, education, employment, energy transitions, health, and trade and investment. This is wide-ranging stuff, and work streams do sometimes bring technical proposals to full G20 ministerial meetings and the Leaders Summit which later get accepted and go on to shape policies in member-states, at least to an extent. This denotes the emergence of the kind of “transgovernmentalism” identified many years ago as a feature of “complex interdependence” by the eminent American international relations scholars Robert Keohane and Joseph Nye. The problem is that this form of global governance, although certainly not to be dismissed, lacks political punch. 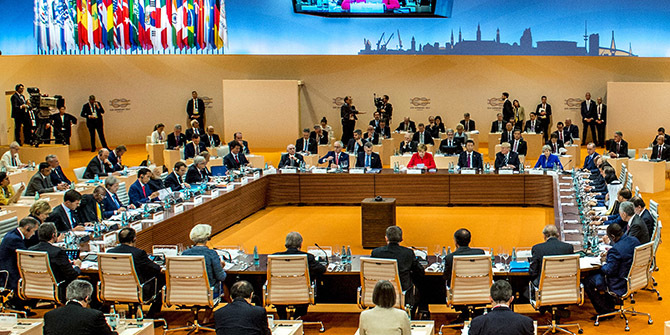 The G20 could change that, but only if it was brave enough to address the design flaw at the heart of its modus operandi: namely, the absence of a modest yet permanent secretariat with an experienced former G20 head of state as secretary-general. Such a person would need to have the necessary clout and skill to lobby current heads in advance of summits, broker agreements, get things decided and done, and – most importantly of all – impose continuity of political purpose on the G20 so that it does not just go on drifting from summit to summit. My last thought may reflect a British perspective, but there is actually an outstanding candidate to become G20 secretary-general sitting at home waiting for the call. So, leaders of the G20, when in Buenos Aires next week, please get on the phone to Mr Gordon Brown, of known address in Scotland. You might recall that back in April 2009 in London he was the chair of the most successful G20 summit ever held. Tony Payne is Professorial Fellow at The Sheffield Political Economy Research Institute (SPERI) at the University of Sheffield. He is the author of several books on Caribbean politics and political economy, development, globalisation, and global governance.